Don't believe what Microsoft tells you -- Windows 10 is not an operating system. Oh, sure, it has many features that make it look like an operating system, but in reality it is nothing more than a vehicle for advertisements. Since the launch of Windows 10, there have been numerous complaints about ads in various forms. They appear in the Start menu, in the taskbar, in the Action Center, in Explorer, in the Ink Workspace, on the Lock Screen, in the Share tool, in the Windows Store and even in File Explorer. Microsoft has lost its grip on what is acceptable, and even goes as far as pretending that these ads serve users more than the company -- "these are suggestions", "this is a promoted app", "we thought you'd like to know that Edge uses less battery than Chrome", "playable ads let you try out apps without installing". But if we're honest, the company is doing nothing more than abusing its position, using Windows 10 to promote its own tools and services, or those with which it has marketing arrangements. Does Microsoft think we're stupid? When Windows 10 first hit computers without a price tag, questions were asked about what the hidden cost might be. We've talked about the various telemetry, privacy-invading and tracking features that are to be found, and this is certainly part of the price one pays for a free operating system ... sorry, ad platform. But as more and more ads have gradually crept into Windows 10, the implications of using Windows 10 become ever clearer. Microsoft has boasted about the millions and millions of computers that now have Windows 10 installed. These are not just additions to the user-base, they are consumers ready to be advertised at. It is a captive audience staring at screens all around the world -- perfect for pummelling with ads as there's nowhere to hide! Microsoft is not only incredibly aggressive with its advertising, it is also disgustingly sneaky. 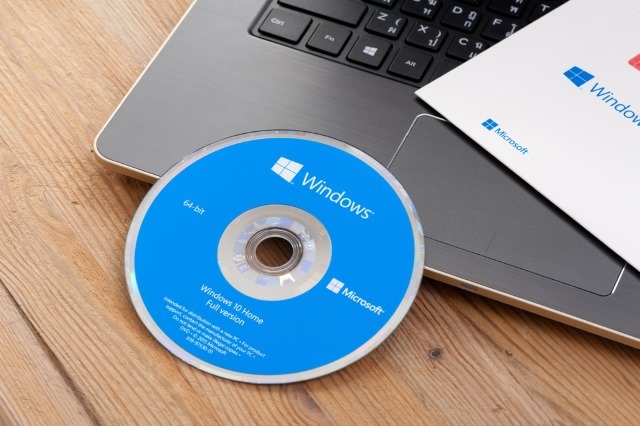 Many of the various forms of advertising that can be found in Windows 10 can be disabled, but don't expect this to be easy, particularly if you're not completely au fait with the world of technology. 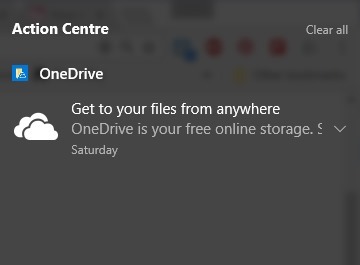 The settings and toggles that need to be changed are far from obviously placed, and the misleading wording used (yes, we're looking at you OneDrive ads in File Explorer...) means many people would simply have no idea what the settings refer to even if they stumbled across them by accident. Seriously... who would think that in order to hide the OneDrive ads, you'd need to flick a toggle labeled Show sync provider notifications? Over the months since the Windows 10's launch, poor users have been gradually pushed harder and harder. It's as though Microsoft is trying to see just how much it can get away with before people reach breaking point. The company is utterly shameless, and it's high time more people spoke out about it. Microsoft has found itself in court on more than one occasion for anticompetitive behavior with Internet Explorer, and if its actions with ads are anything to go by it would appear that the company has learned nothing about stopping abusing its position. As each new layer of advertising has been revealed in Windows 10, Microsoft has managed to annoy and alienate more users. Each time there have been plenty of people to jump to the company's defense and stick up for what it is doing. But the sheer prevalence of ads in myriad forms is making Microsoft's actions indefensible. It might feel as though we're going over old ground here, and we are. Microsoft just keeps letting us (and you) down, time and time and time again. It's time for things to change, but will Microsoft listen?